Bandon is located where the Coquille River meets the Pacific Ocean and the local waters offer fantastic fishing. Southern Oregon Rivers are home to some of the world’s largest and most delicious salmon. 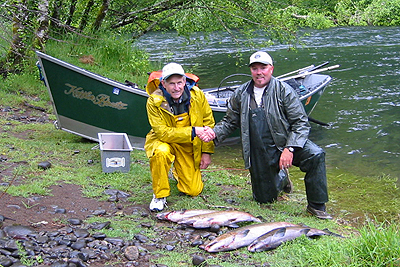 Good salmon fishing can be expected during nine months of the year. Ocean charter boats are available in Bandon Harbor to catch Salmon, Halibut, Tuna and bottom fish, while outstanding Dungeness crabs can be landed from the docks or in the bay. We can help arrange fishing trips, or visit www.fishoregon.com . Area River Species: Spring Chinook Salmon, Summer Steelhead Trout, Fall King Salmon, Winter Steelhead Trout. 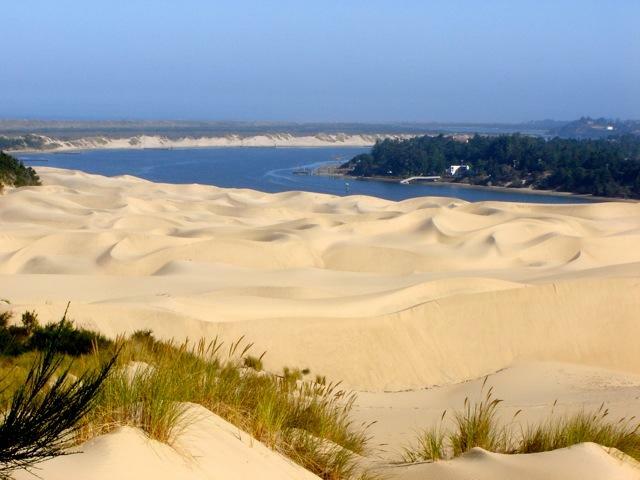 From Florence to Coos Bay, the Oregon Dunes National Recreation Area extends for 40 miles along the Oregon Coast. Formed by the ancient forces of wind, water and time, these dunes are the largest expanse of coastal sand dunes in North America. Thousands of off-highway vehicle riders come to enjoy the thrill of riding across these expansive tracks of sand. Three main off-road riding areas have been set aside to provide riders with a variety of experiences. Whether by sand rail, motorcycle, 4x4, quad or guided trip, riders are in for a treat. Click here for more info.